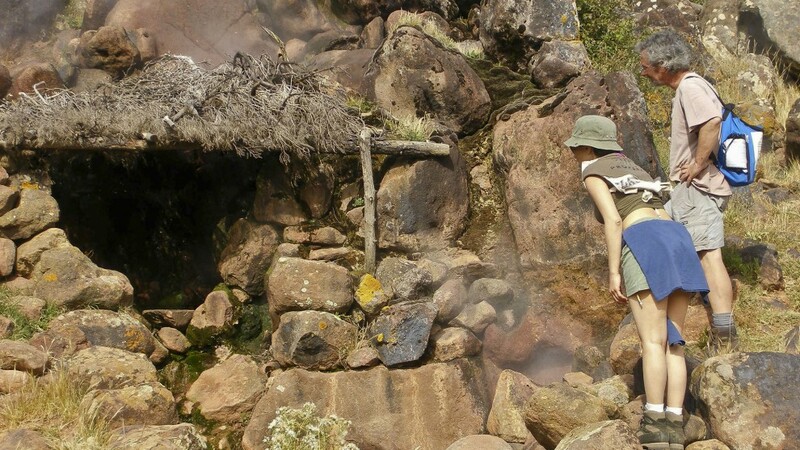 Pantelleria is a natural wellness center where you can take mud baths and saunas in close contact with nature. Do you know what are the Favare…? The favare are a phenomenon of minor volcanism focused on the south area of the island. From the cracks of the rock comes out water vapor mixed with gas. In the 40s the military built a pipelines system to take advantage of the natural energy and heat to use it in a building that once stood not far from the areas of favare from which to admire breathtaking views. From one of the paths leading to them from the area called Benikulà rises the most famous favara also known by the name of “dry bath”. As matter of fact the steam flows into a cave which is exploited by many estimators, as a real sauna. The interior, a little ‘cramped to be honest, can host up to a maximum of 6 people. The full moon nights are definitely the most recommended to fully enjoy the true essence and magic of this favara.